Larry Spriggs Jr, former Finance student of Morgan State University, discovered an undeniable love for the game of Street Basketball at a young age. Often attending many outdoor Street basketball league games or home watching many of the old AND1 Mixtapes, his passion for the game of Street Basketball drove him to become less of a fan and more of an enthusiast. Know for many years to most of the online Streetball community as the, Streetball N4mative, his post are regularly seen on many different Street Basketball websites. In his early years of high school, at which he attended and graduated from with honors in Architecture, Southern Senior High School in Harwood, MD, he over looked a Street Basketball class held through Calvert County Parks and Recreation. 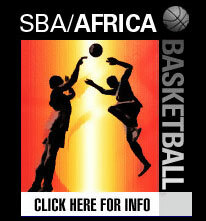 After singing up for the class he later realized that the coach of the class was none other than Patrick Pat Da Roc Robinson, one of the well known SBA All-Stars. By the end of the first two weeks he and Pat became close friends, and Pat invited him unknowingly, to one of the most historic new school street basketball games ever. An SBA game at, Coppin State University, in which AND1 star and SBA all-star, Andre Silk Poole, went head to head with Former EBC MVP, Larry Bone Collector Williams. This game ended with one of the most controversial moves to ever happen in the world of Street Basketball. At that moment Larry, became even more hooked to the game and since then has attended many more Street Basketball events all over the east coast following host of All-Stars that he now considers close friends and/or brothers. Larry recently had the opportunity to help plan and market the, first annual Anything Is Possible Street Basketball game at, Patuxent High School in Lusby, MD. This was one of the biggest street basketball exhibition games to hit the east coast in a couple of years, selling out before the tip-off. Since then, Larry has now landed a role with the most powerful International Street Basketball Federation, the SBA, as a representative within the SBA Properties Division.